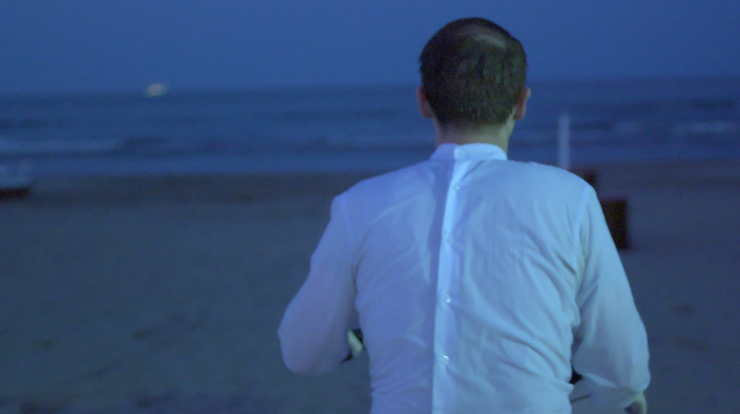 We see a man all dressed in white, wearing latex gloves at “magic hour” cycling slowly along an pathway leading to the sea in a form of silent protest. We focus in and out on the surroundings of the hallowed spot and the unknown man like a dream induced state. The music increases in volume as he cycles closer to the water and is celebratory and invigorates a beautiful return to nature as he is immersed	under the water. This return to nature should not be seen as an end, but merely a beginning.